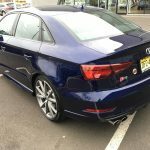 When the Audi S3 sedan first made its way to the states, it was met with lukewarm reviews. 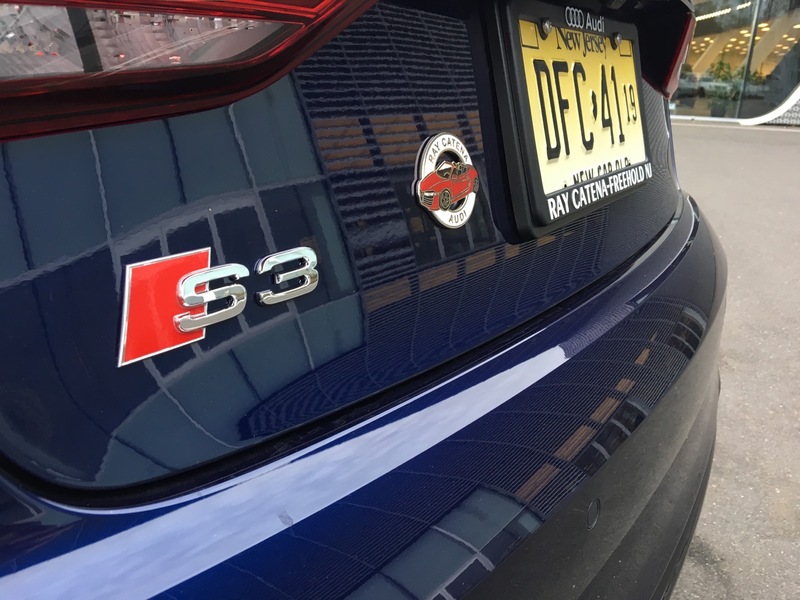 On paper, the S3 is a spectacular machine, with a 2.0 liter turbocharged TFSI engine that makes 292 hp and a dual-clutch transmission. 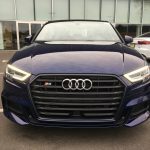 That allowed it to get from 0-60 mph 4.9 seconds and, with Quattro all-wheel drive grip, it was fast through corners as well. 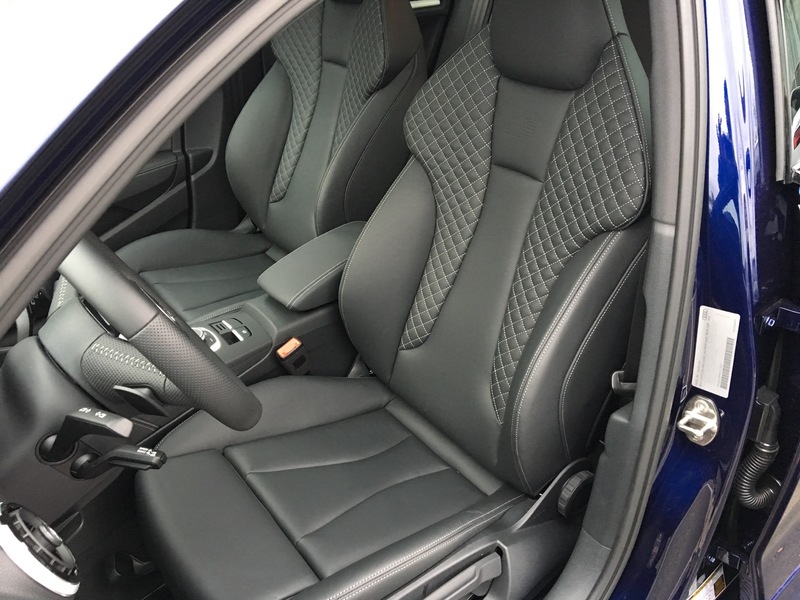 It also looked good and had a great interior. But it always felt numb, lifeless and it understeered too much. 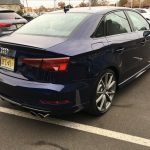 To remedy all of this, and to quell the upset car enthusiasts, Audi decided to give the Audi S3 a pretty aggressive refresh. 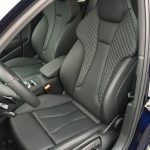 While a typical mid-cycle refresh for any car model usually just includes some new headlights and taillights, maybe a slightly revised interior and possibly a bump in power. 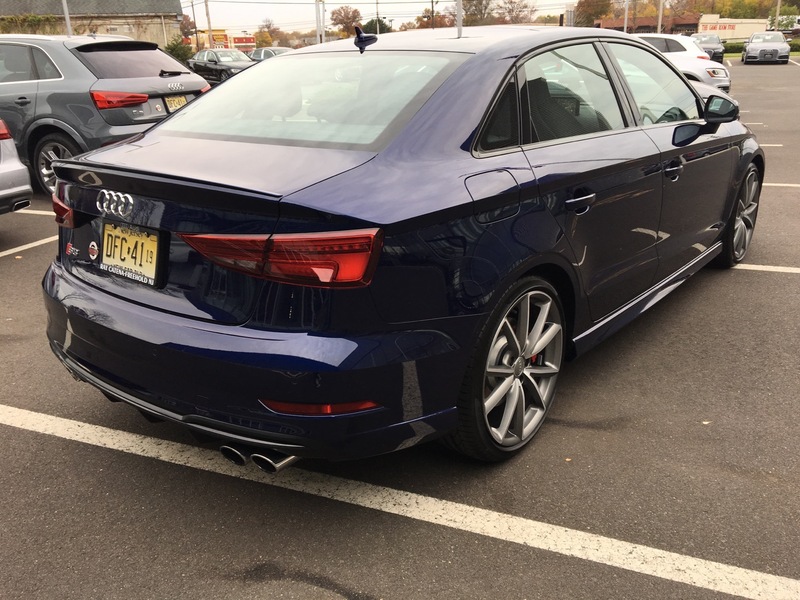 Well, for the S3, Audi decided to change quite a lot of little changes. All of these little changes add up to make a big difference and make the S3 significantly better than it was before. The first thing you notice is the new face. 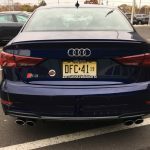 Wearing Audi’s new corporate Singleframe grille, only completely blacked out, and the new headlights inspired by the new Audi A4, the 2017 Audi S3 looks far better than the pre-refresh model. It went from a fine looking car to a genuinely charming looking car. It’s aggressive and stylish but it’s still elegant and subtle looking. 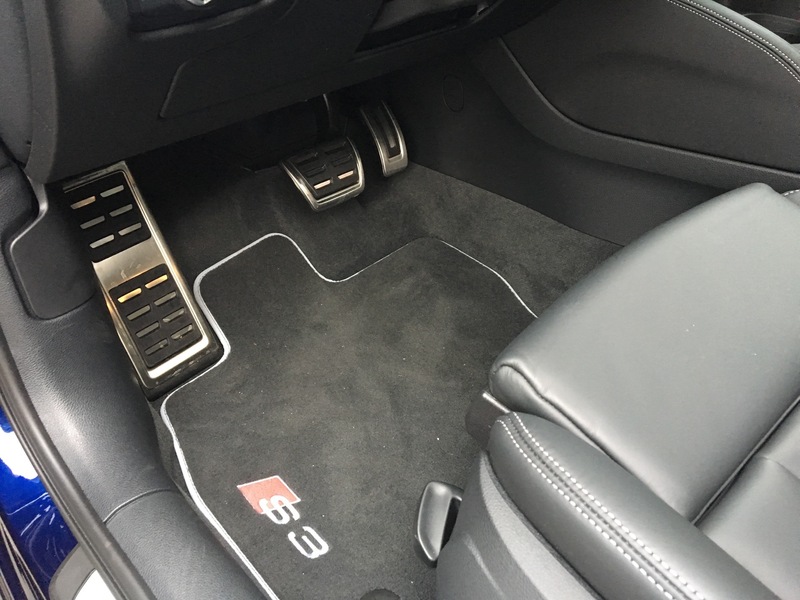 On the inside, most of the S3 is the same. 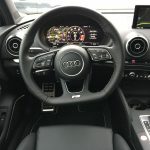 However, the steering wheel design has been pulled from newer Audi “S” models, such as the upcoming S4 and S5. The pop-up navigation screen remains but its resolution and graphics have been updated and look far better. 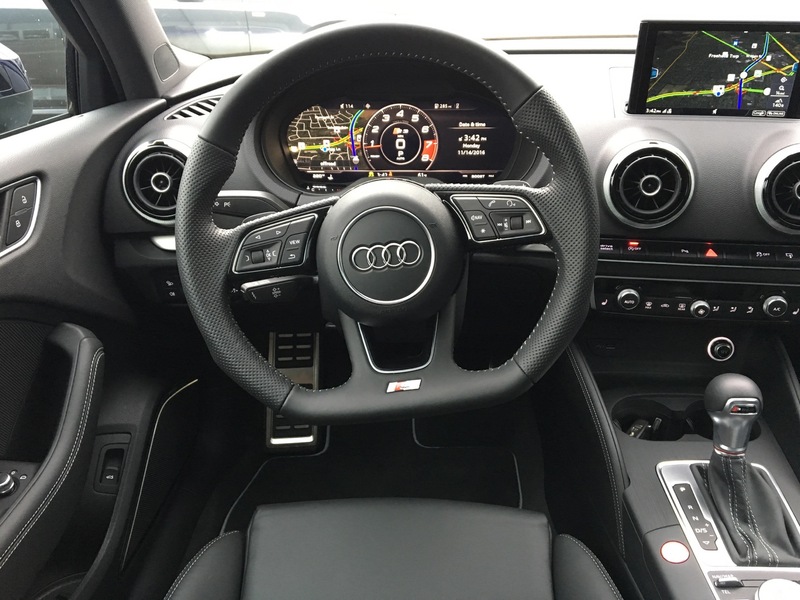 But the biggest difference is the simply wonderful “S” styled Virtual Cockpit gauge cluster and it’s fantastic. 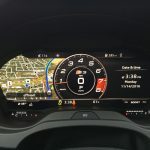 The ability to switch screens from regular gauges to a sportier single tachometer with a digital speedo in the center to a full navigation screen is not only awe-inspiring but incredibly practical. 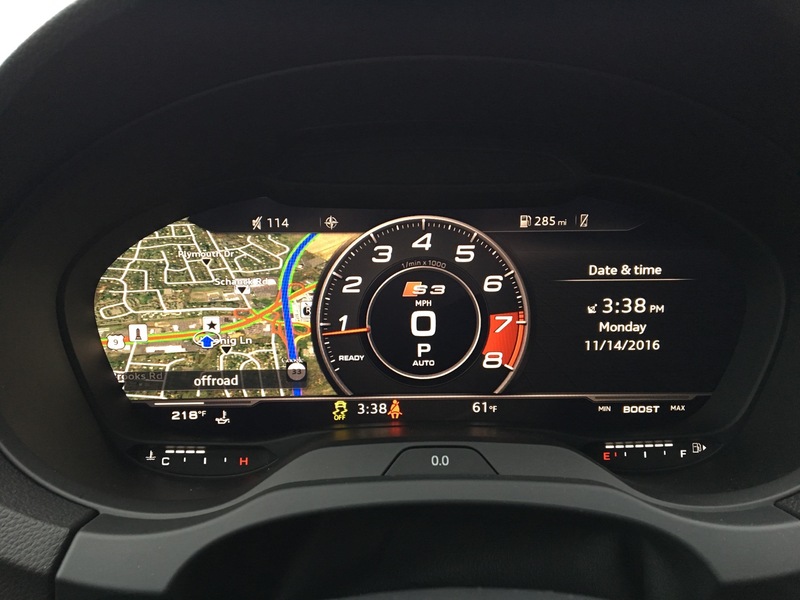 My personal favorite screen setup is the sportier gauge screen, with the single tach, and the navigation screen to the left (As shown below). 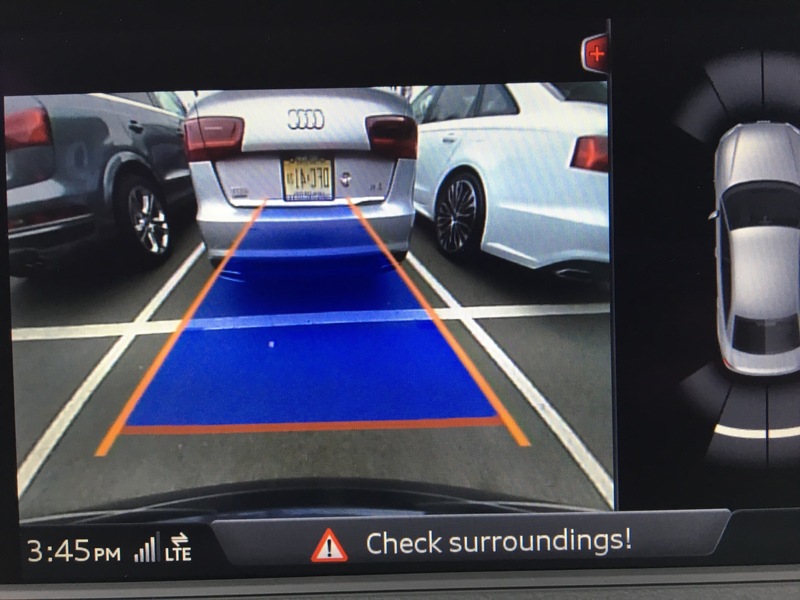 If Audi just made these changes, the refresh would be a success. 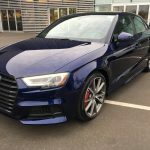 However, the folks in Ingolstadt weren’t content with just making aesthetic changes and made some serious mechanical upgrades that make the 2017 Audi S3 a much better driving car than it was before. 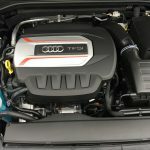 The very same 2.0 liter TFSI engine remains the same in America, though it gets bumped up to 310 hp in Europe. That’s not such a bad thing, though, as it’s still a great engine. 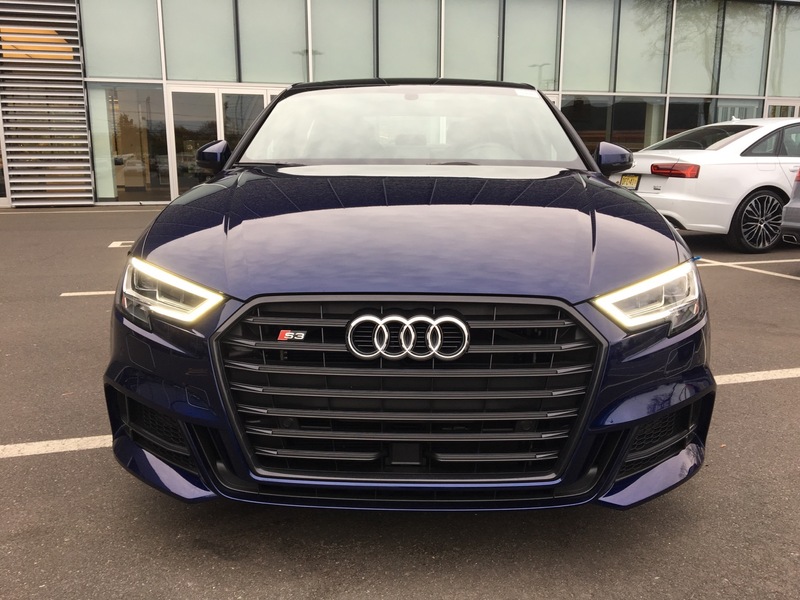 It packs more than enough power and feels every bit as quick as Audi claims, maybe even quicker. It also makes a decent growl. 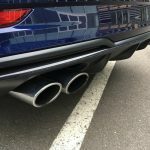 While no one will mistake this for a naturally-aspirated six-cylinder, it sounds decent enough. 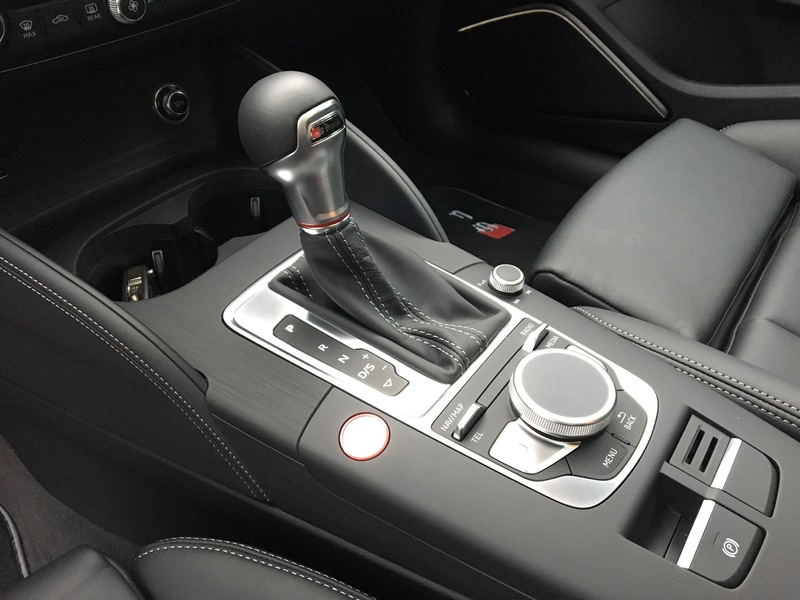 What has been improved is the new seven-speed S-Tronic dual-clutch gearbox, rather than the old six-speed unit. 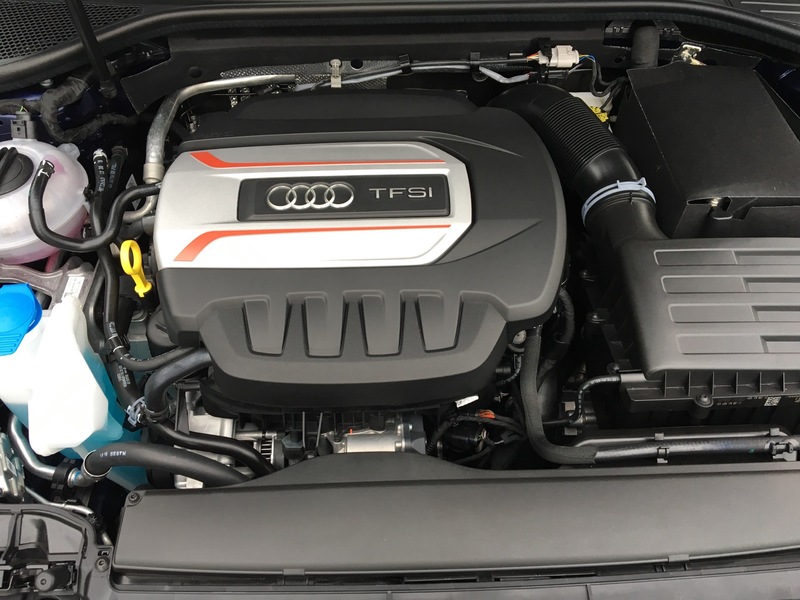 It’s the same unit as in the new Audi A4 and it’s just as brilliant, with quick and precise shifts. In auto-mode, its smooth and intelligent, always keeping you in the correct gear. This could be one of the best transmissions on the planet. 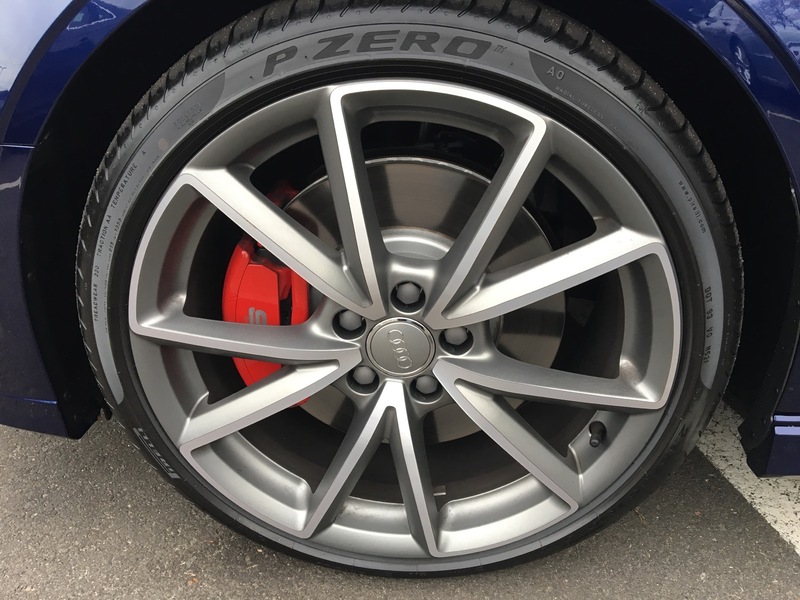 Audi also made updates to the power steering system, giving it more feel and feedback and slighter sharper accuracy. Admittedly, it’s still quite numb, but the weighting is nice in Dynamic mode and there’s enough feel to know where the front tires are pointing. 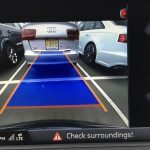 It’s also very accurate and makes it easy to place the S3 exactly where you want. Despite the lack of feel, it’s incredibly tactile and precise. 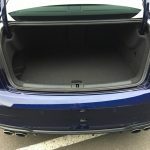 Another area where Audi made a big improvement is in the all-wheel drive system and this is the best part of the new S3. 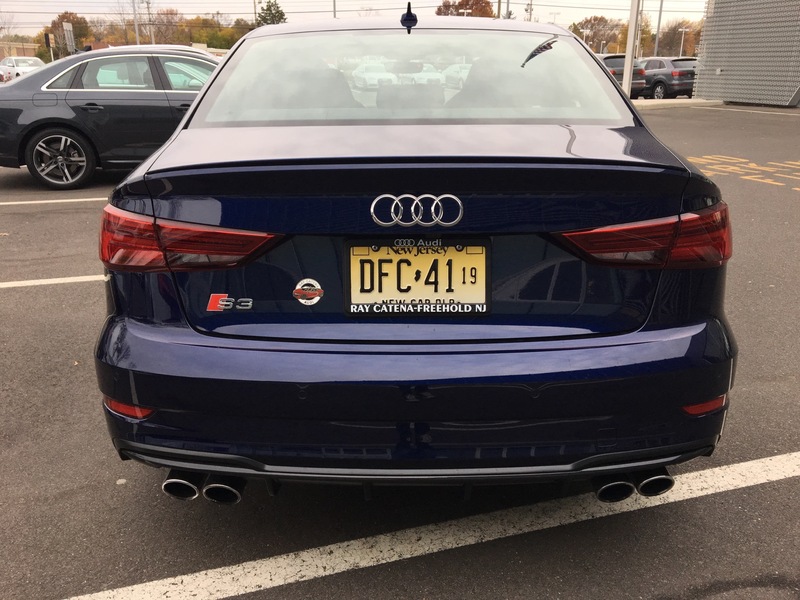 While Audi badges this Quattro all-wheel drive, the S3, and all MQB-based Audis, actually uses a Haldex setup. 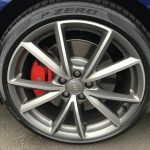 Typically, in a Haldex-based all-wheel drive setup, no more than 50 percent of the torque can be sent to the rear wheels. 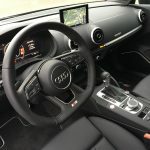 However, Audi has made changes to the Haldex system here and now the rear differential is capable of handling up to 100 percent of the power. 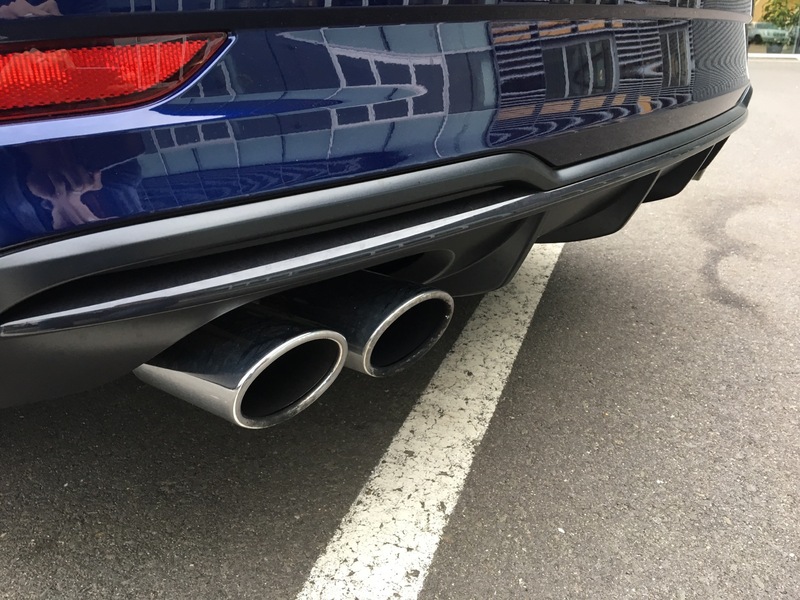 This allows for far less understeer, much more aggressive handling and some actual rear-end rotation. 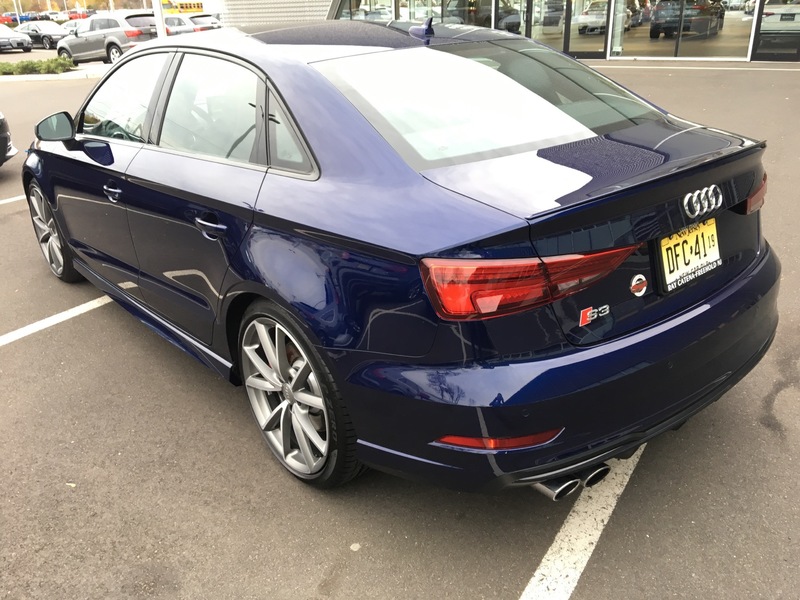 Overall, this is a far better handling car and one that feels more neutral than the previous S3. In Dynamic Mode, the suspension is a bit spikey over rough pavement, but the body stays flat through corners and it grips hard. 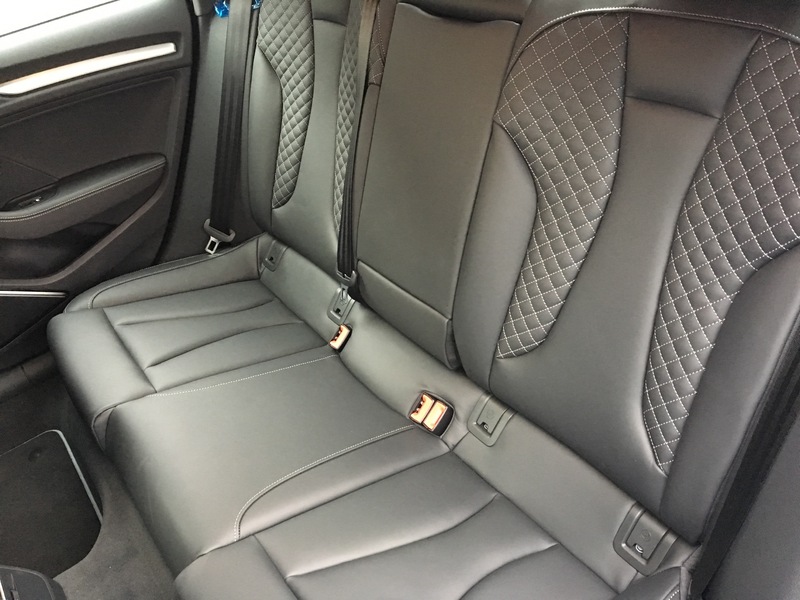 In Comfort Mode, the suspension rides far more smoothly. 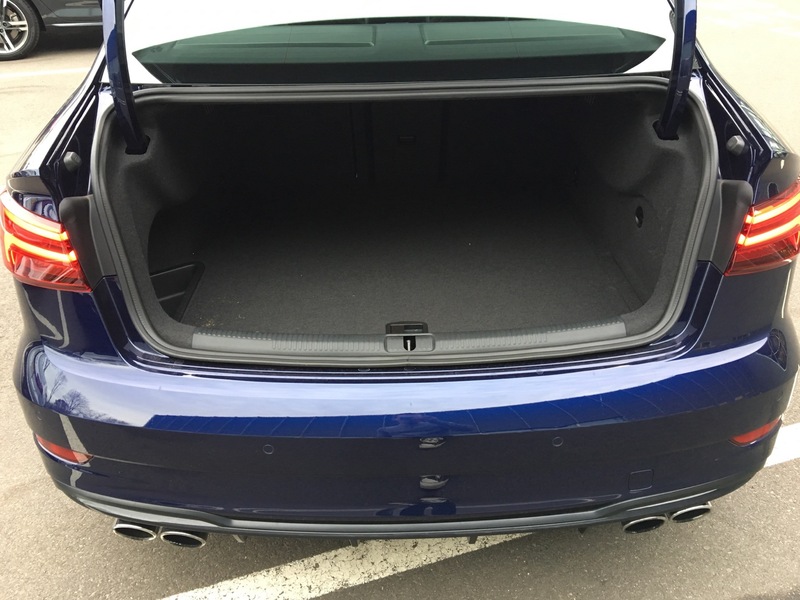 It’s still not comfortable, as it isn’t a luxury car, but it rounds off the bumps more and there’s less impact through the chassis. There’s a real difference between the two modes, making it actually worthwhile to switch back and forth. 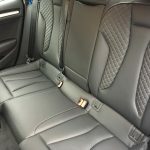 There’s also an Individual Mode that allows owners to tailor the car to their liking. For instance, you can have the powertrain in Dynamic Mode but the suspension in Comfort mode, which is exactly how I’d have it. So far, so good, then. 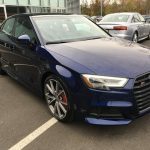 The new Audi S3 is much improved and one of the best overall performance car packages on the market. 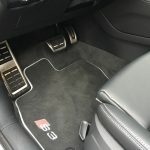 With usable back seats for two adults, where I could comfortably sit behind myself, a nice-sized trunk and all-weather all-wheel drive traction, there isn’t much the Audi S3 can’t do. It looks fantastic, thanks to the new improvements, has incredible technology and a lovely cabin. But most importantly, it’s now really good to drive. It still isn’t the last word in pure driving experiences, but it’s fun to drive and a great daily performance car. 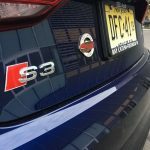 It is a bit expensive though, Starting at $43,000 but getting well into $50,000 with the Virtual Cockpit and all the great performance features. 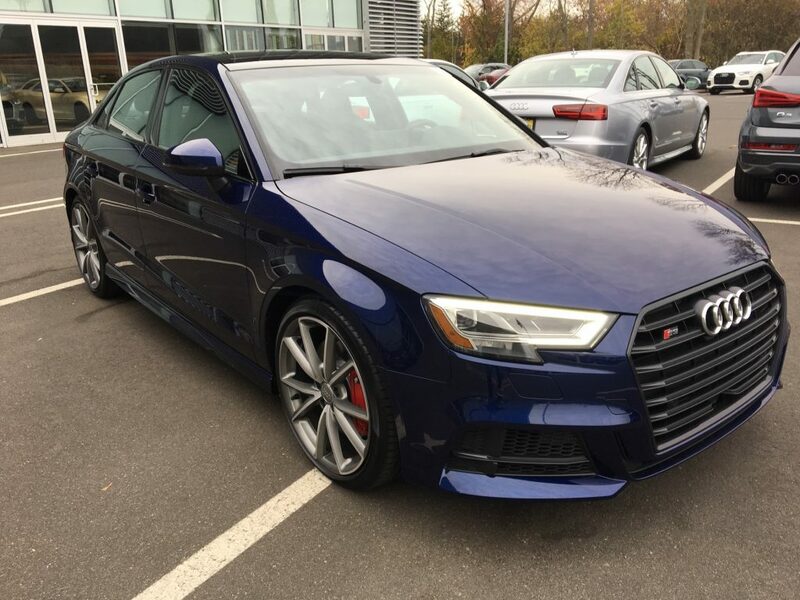 But if you’re looking for a high-performance sport sedan that looks great, is packed with superb technology and can be used everyday for nearly every situation, it’s hard to pass on the 2017 Audi S3. 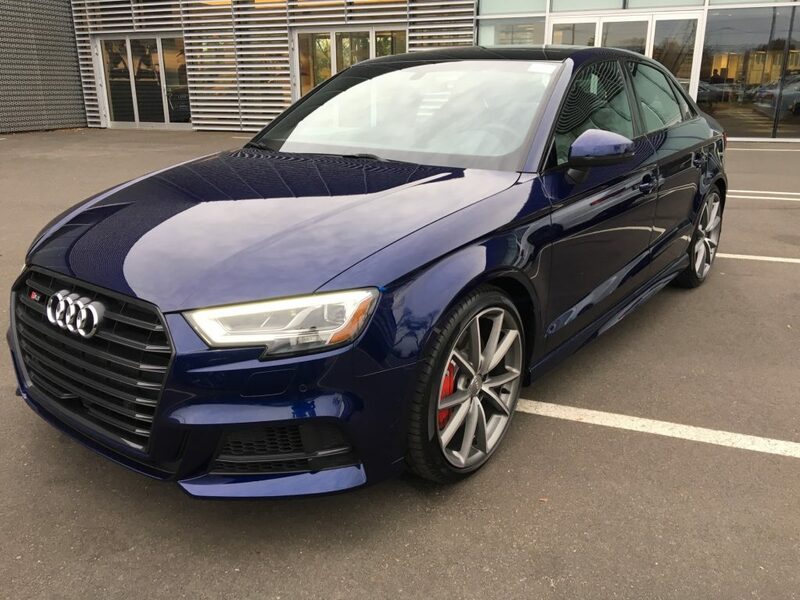 Though expensive, if you're looking for a high-performance sport sedan that looks great, is packed with superb technology and can be used everyday for nearly every situation, it's hard to pass on the 2017 Audi S3.